P.T.Doss, C.Keramiotis, G. Vourliotakis, G. Zannis, G. Skevis and M. Founti "Experimental Investigation on the Influence of Simulated EGR Addition on Swirl-Stabilized CH4 Flames" J. Energy Eng., 10.1061/(ASCE)EY.1943-7897.0000314, E4015008., http://dx.doi.org/10.1061/(ASCE)EY.1943-7897.0000314. S.Tanov, R.Collin, B. Johansson and M. Tuner "Combustion Stratification with Partially Premixed Combustion, PPC, using NVO and Split Injection in a LD - Diesel Engine" SAE Int. 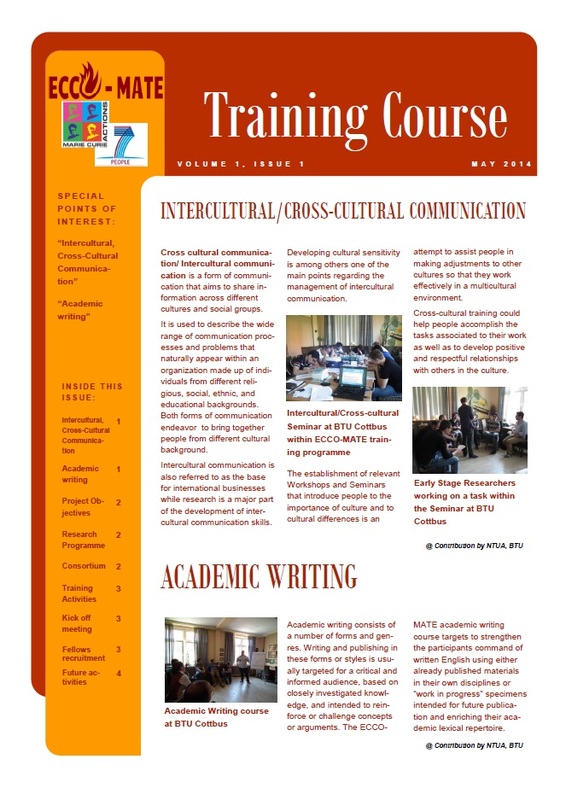 J. Engines7(4):1911-1919, 2014, doi:10.4271/2014-01-2677. 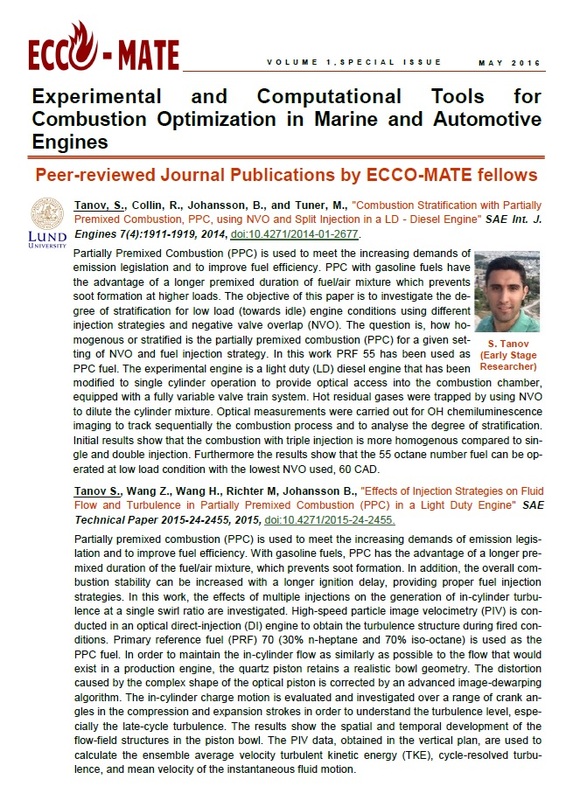 S. Tanov, Z. Wang, H. Wang, M. Richter and B. Johansson "Effects of Injection Strategies on Fluid Flow and Turbulence in Partially Premixed Combustion (PPC) in a Light Duty Engine" SAE Technical Paper 2015-24-2455, 2015, doi:10.4271/2015-24-2455. Z. Wang, S. tanov, H. Wang, M. Richter et al. 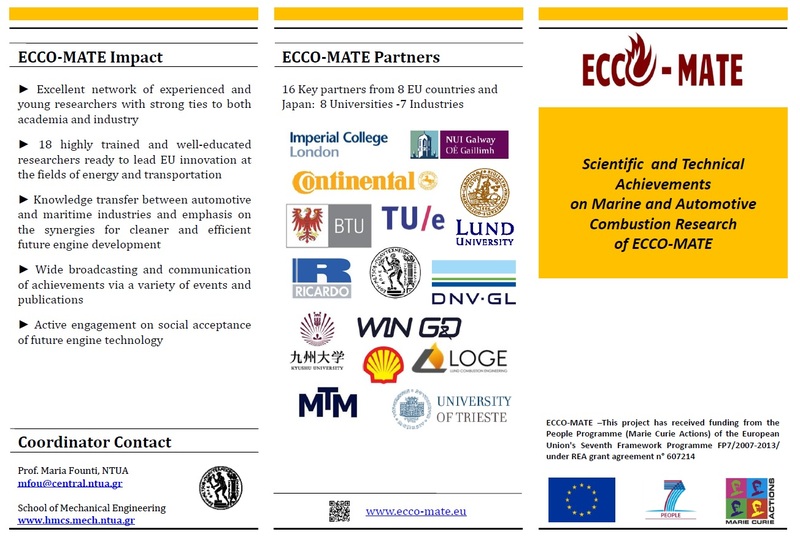 "High-Speed Particle Image Velocimetry Measurement of Partially Premixed Combustion (PPC) in a Light Duty Engine for Different Injection Strategies" SAE Technical Paper 2015-24-2454, 2015, doi:10.4271/2015-24-2454. 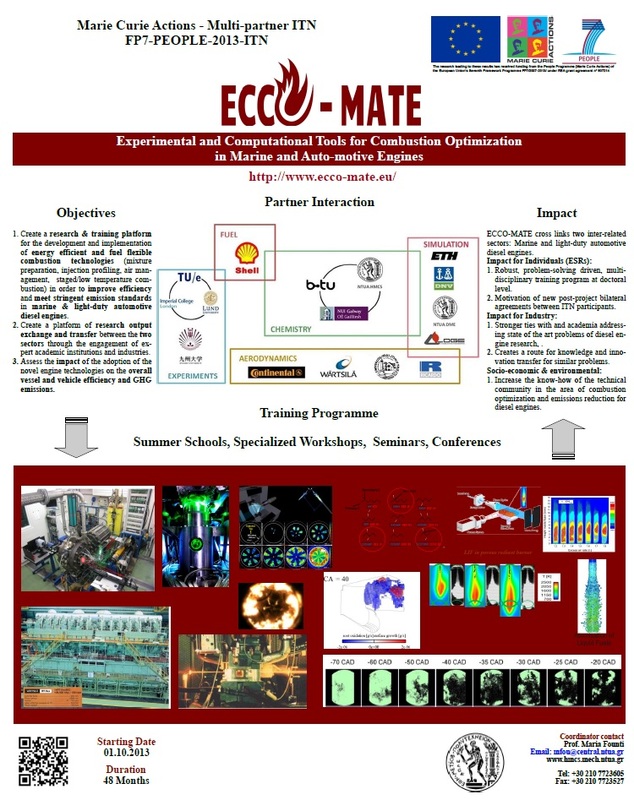 Matrisciano, A., Pasternak, M., Wang, X., Antoshkiv, O. et al., "On the Performance of Biodiesel Blends - Experimental Data and Simulations Using a Stochastic Fuel Test Bench" SAE Technical Paper 2014-01-1115, 2014, doi:10.4271/2014-01-1115. 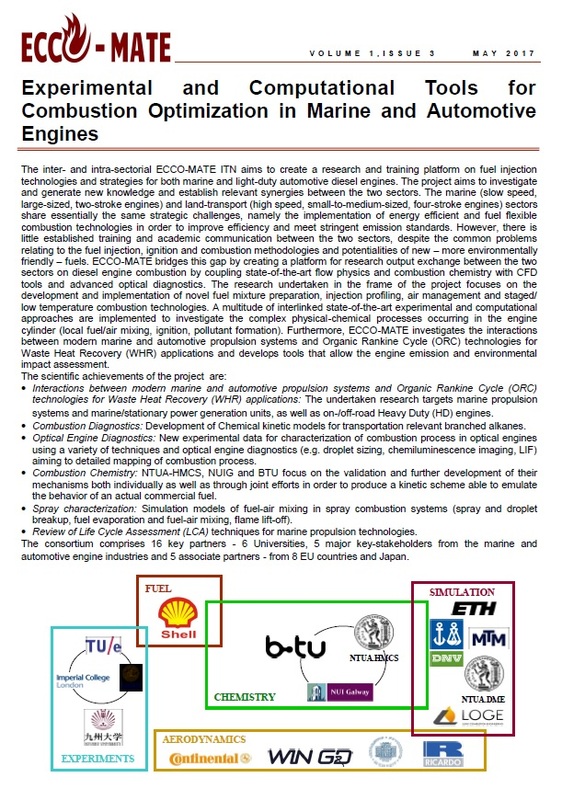 Matrisciano, A., Borg, A., Perlman, C., Lehtiniemi, H. et al., "Soot Source Term Tabulation Strategy for Diesel Engine Simulations with SRM" SAE Technical Paper 2015-24-2400, 2015, doi:10.4271/2015-24-2400. M. Founti, Y. Hardalupas,C. Hong, C. Keramiotis, K.G.Ramaswamy, N.Soulopoulos, A. Taylor, P.D. 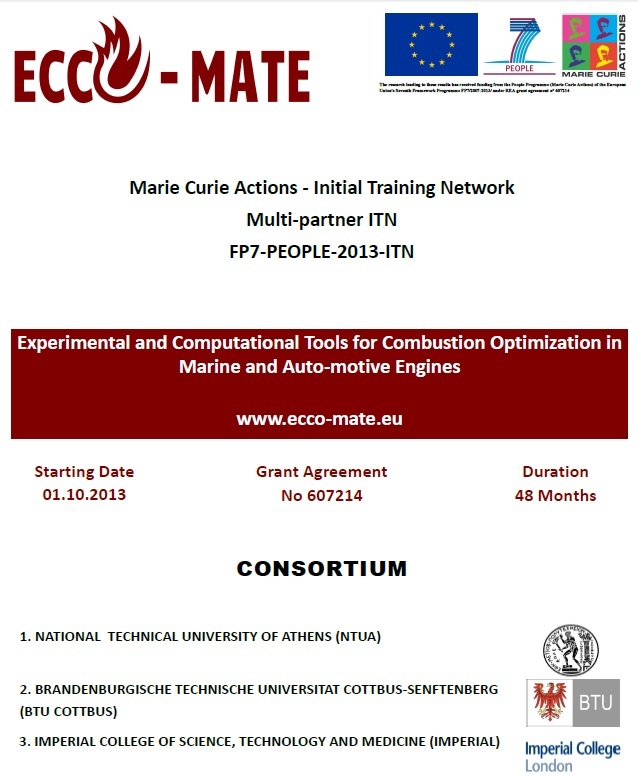 Touloupis and G.Vourliotakis, "An Experimental Investigation on the Effect of Diluent Addition on Flame Characteristics in a Single Cylinder Optical Diesel Engine" SAE Technical Paper 2015-24-2438, 2015, doi:10.4271/2015-24-2438. Izadi Najafabadi M., Dam, N., Somers, B., and Johansson, B., "Ignition Sensitivity Study of Partially Premixed Combustion by Using Shadowgraphy and OH* Chemiluminescence Methods" SAE Technical Paper 2016-01-0761, 2016, doi:10.4271/2016-01-0761. 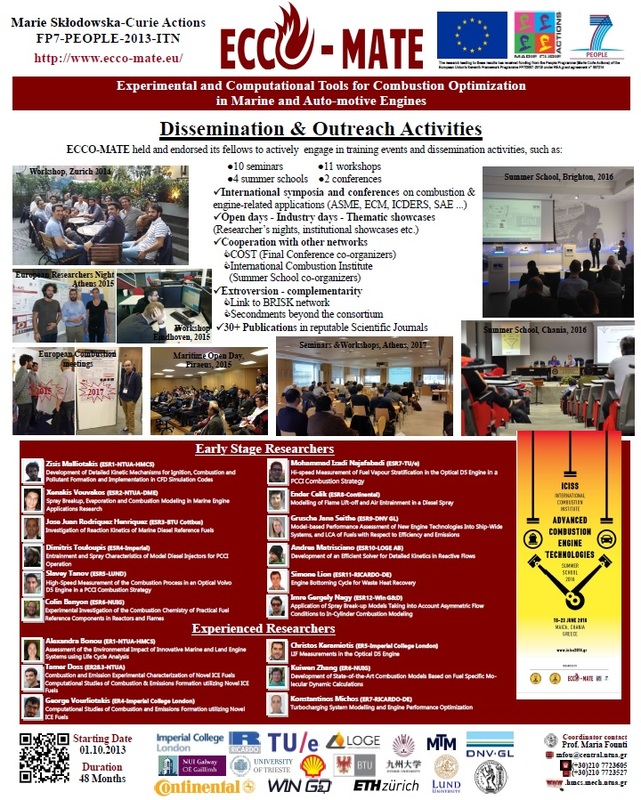 Founti, M., Hardalupas, Y., Hong, C., Keramiotis C., Ramaswamy K.G., Soulopoulos N., Taylor A., Touloupis P.D.,and Vourliotakis G. "An Experimental Investigation on the Effect of Diluent Addition on Flame Characteristics in a Single Cylinder Optical Diesel Engine" SAE Technical Paper 2015-24-2438, 2015, doi:10.4271/2015-24-2438. Maghbouli, A., Lucchini, T., D'Errico, G., Izadi Najafabadi M., & Somers, B., "Numerical Investigation of PPCI Combustion at Low and High Charge Stratification Levels" SAE Technical Paper 2017-01-0739, 2017 , doi:10.4271/2017-01-0739. Vallinayagam, R., Vedharaj, S., An, Y., Dawood, A., Izadi Najafabadi M., Somers B. & Johansson, B., "Combustion Stratification for Naphtha from CI Combustion to PPC" SAE Technical Paper 2017-01-0745, 2017 , doi:10.4271/2017-01-0745. 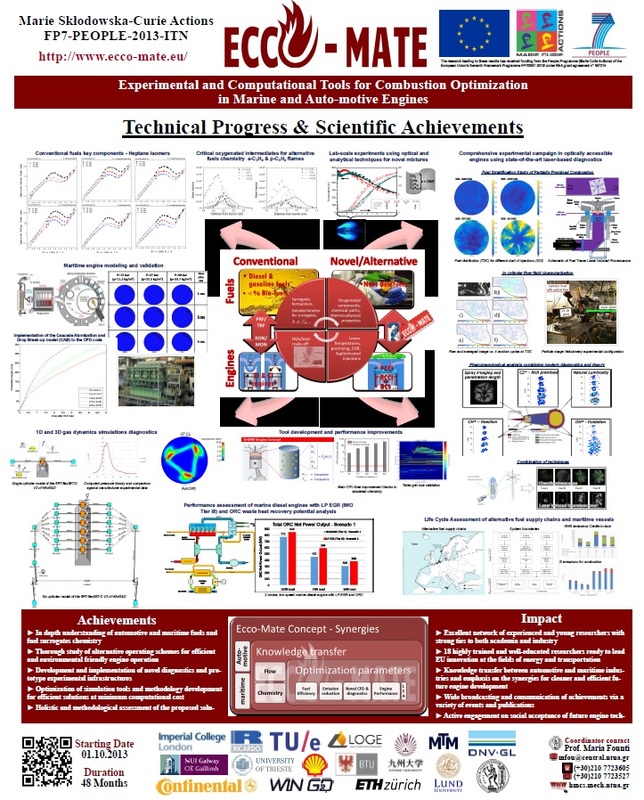 Matrisciano A., Franken, T., Perlman, C., Borg, A. et al., "Development of a Computationally Efficient Progress Variable Approach for a Direct Injection Stochastic Reactor Model" SAE Technical Paper 2017-01-0512, 2017, https://doi.org/10.4271/2017-01-0512. G. Vourliotakis, Ch. Keramiotis, A. Hatziapostolou, M.A. Founti (2015). 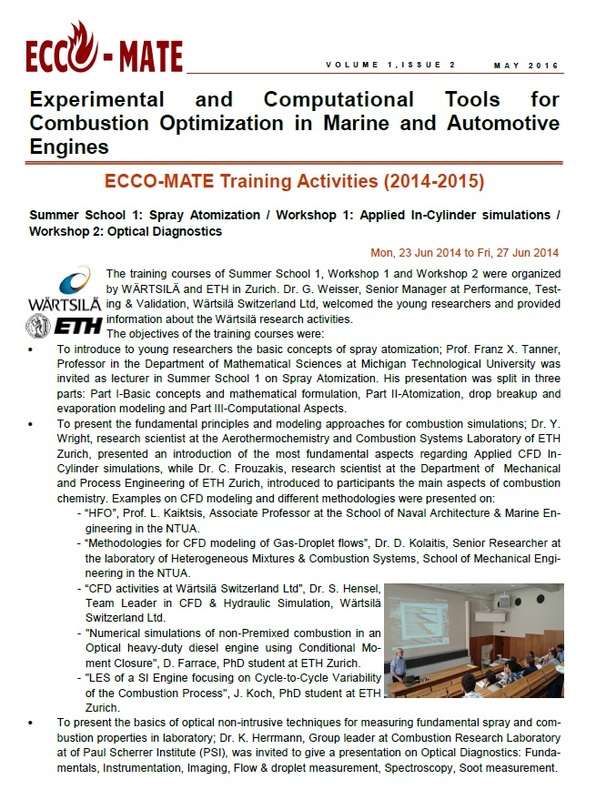 "Detailed Kinetics as a Tool for Investigating HCCI Conditions on Engine Performance and Emissions." J. Energy Eng., DOI: 10.1061/(ASCE)EY.1943-7897.0000323, E4015014. 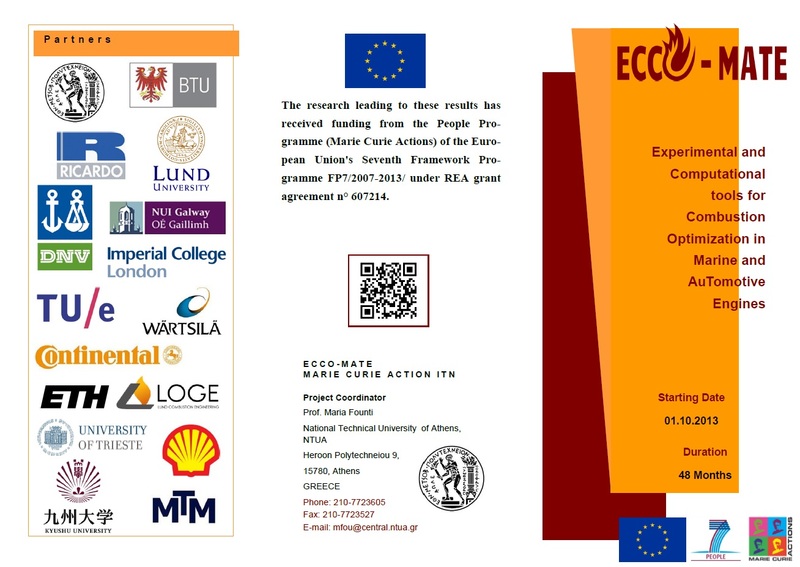 "The research leading to these results has received funding from the People Programme (Marie Curie Actions) of the European Union's Seventh Framework Programme FP7/2007-2013/ under REA grant agreement n° 607214."